Photos from my Thanksgiving weekend trip to visit Amy and her folks in NJ have been mixed into the full NJ/NYC Nov 2005 photoset. We were looking at some of my older pre-Flickr albums and I realized I really need to get all these things in one place. 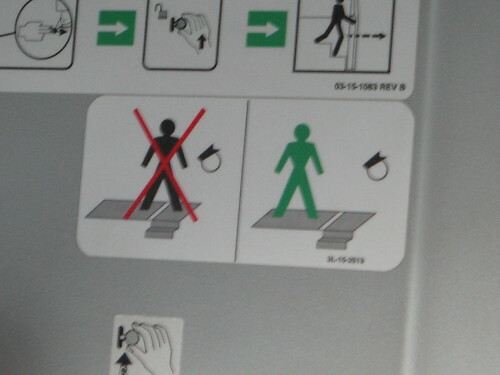 For now, enjoy this safety sign on the NJ Transit Bus, depicting the proper distance you should stand from the hat-wearing disembodied head at the top of the stairs.